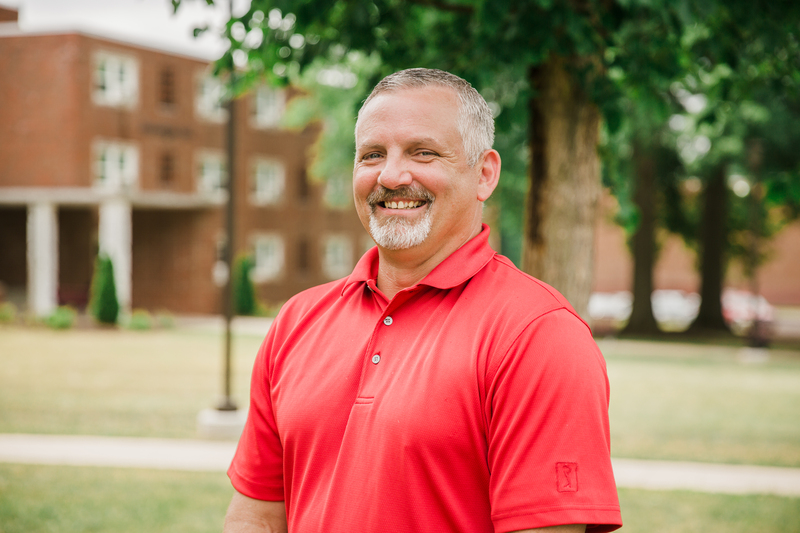 Mike Wills ’00, MBA ’03 is the director of Residential Life and Campus Safety at William Woods University. He worked in the law enforcement industry for multiple years before transitioning into higher education. 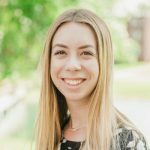 Wills is responsible for overseeing the residential and community life on campus, while ensuring that students, faculty, and staff are well protected. Recently, he sat down with Emily Barker ’19 to answer 5 Questions. Q1: How does Residential Life contribute to student learning at William Woods? We have many strategies in Residential Life to aid our students, but our main strategy is one-on-one communication. 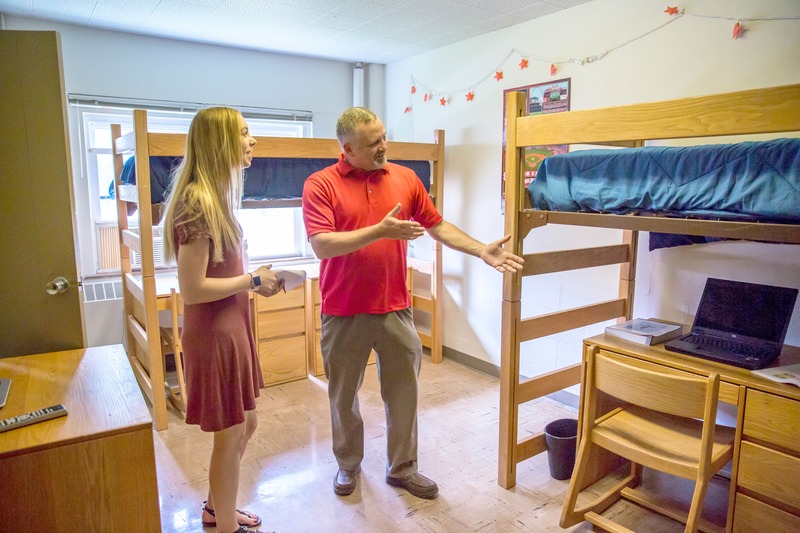 We focus on developing connections with students, helping them with their transition to college, and creating a smaller community within their hall or floor. We also serve our students through residence hall education. That may be through programming that goes through the halls, on bulletin boards, etc. The program topics range from life skills to education about little-known subjects to good decision making as a college student. Some programs promote intrapersonal development by helping students look inward and reflect on their assumptions or beliefs about cultures, society, or themselves. Roommate agreements are another big strategy we use. Roommate and Suitemate agreements ask students to reflect and learn about themselves. First, the student must consider their own habits and how these could be potential problems for someone living with them. Then, the student must consider the habits of their roommate or suitemate and how to assertively address these issues with them. Often, roommates and suitemates must develop creative solutions to address one another’s differences and quirks. Many times, the development of these creative solutions include help from staff members. We try to help students develop long-lasting, meaningful relationships with their roommate or suitemates and learn how better to collaborate with others and address issues. We want residents to identify smaller grievances before they escalate. 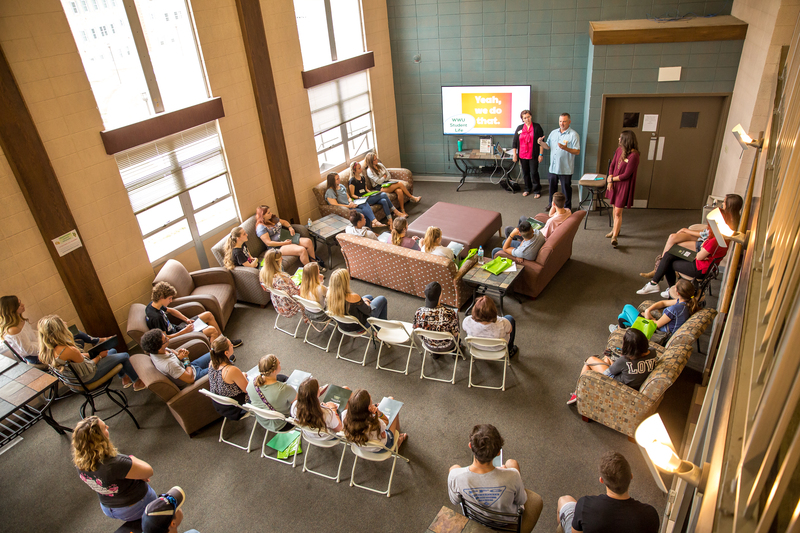 Roommate and suitemate agreements help residents with their civic responsibility skills for the future by teaching them how to address potential issues with neighbors. We place a lot of emphasis on roommate agreements because we want a healthy foundation between roommates whenever they get here. But, our number one resource in Residential Life is our student staff. The Community Advisors/Chapter Assistants (CAs) are upperclassmen who live in the different halls and connect students with all of the resources across campus. As a group, our CAs have very high GPAs and are academic role models on campus. Our Area Coordinators (ACs) are graduate assistants that live on campus and are responsible for overseeing the CAs and acting as first responders in case an issue crops up. Q2: What is one thing you wish students knew before moving into a residential hall? I really wish that incoming students would be willing to openly and honestly communicate with their peers, all of the time. It’s so important for a good transition. Effective communication is essential and I can’t stress that enough. I also highly encourage students to not pre-judge their roommate before they get here. We need to give everyone a chance to be a human first and we can’t judge people based off of what they post on social media. Q3: What are some of the latest updates in the Campus Safety office? Safety is very important at William Woods, so we’re constantly making improvements to stay on the cutting edge. We recently added a mobile data terminal in our security vehicle. Now officers can do their desk requirements and everything else inside the car and have faster access to important information. They can also view the six cameras we have located around campus (with a new one going up this year). These cameras are an important part of safety procedures on campus. 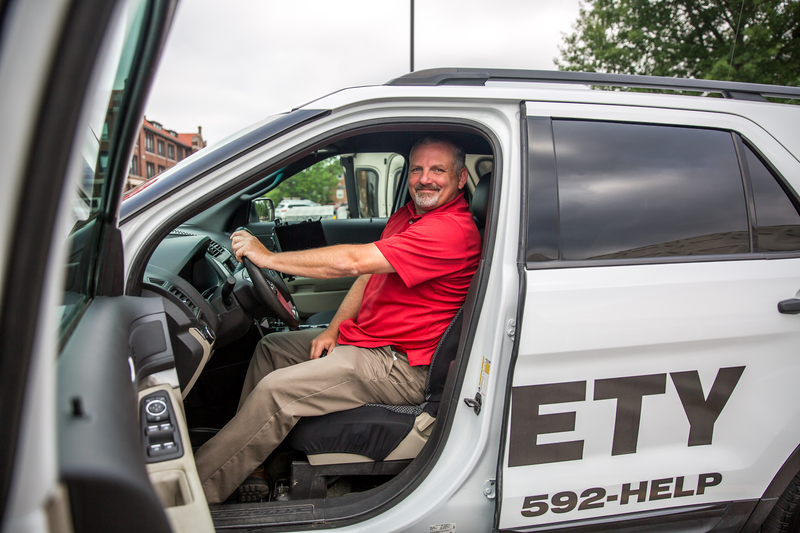 We want to make sure our community is safe as they go about their daily business. Q4: What questions do students and their parents sometimes have about safety at William Woods? I receive a lot of questions from parents and students about the overall safety of the campus. I was involved in law enforcement for many years before I made the transition to higher education and I always tell parents and students that college campuses are some of the safest places to be. You can compare the city or demographic to the school and see that the college limits are a lot lower. We have call boxes all around campus to make students feel safer. The number one reason for the call boxes is to provide an extra layer of communication and protection. Whether a student just needs general help from Safety or needs to contact the police, the student can go directly to the call boxes for help. There’s a red button that calls 911 and the black button will call Campus Safety. We also have a system called Woods Alert. If there is crisis situation or weather alert, an email, phone call, and text message can instantly go out to our entire community. The alerts also appear on the William Woods homepage. On a larger scale, the university has an Emergency Operations Planning committee. Their responsibility is to look over our emergency operation plans, which encompass everything from crisis management to weather. The team meets on a monthly basis to discuss our plans and make sure they are current, relevant, and understandable. Q5: What are you most proud of from your time here at William Woods so far? What I love about what I do in both Residential Life and Campus Safety is that I get to see the transition of students and their progression over the years. Sometimes I play a large role or sometimes I play a small role in that transition, but watching them walk across the stage at graduation is very rewarding and it makes me feel really good. That is what I am most proud of and that is why I continue to do what I do.